Formally Red Stag Deer and Emu Farm, The Red Stag offers visitors a fantastic dining experience with stunning alpine views in all directions. 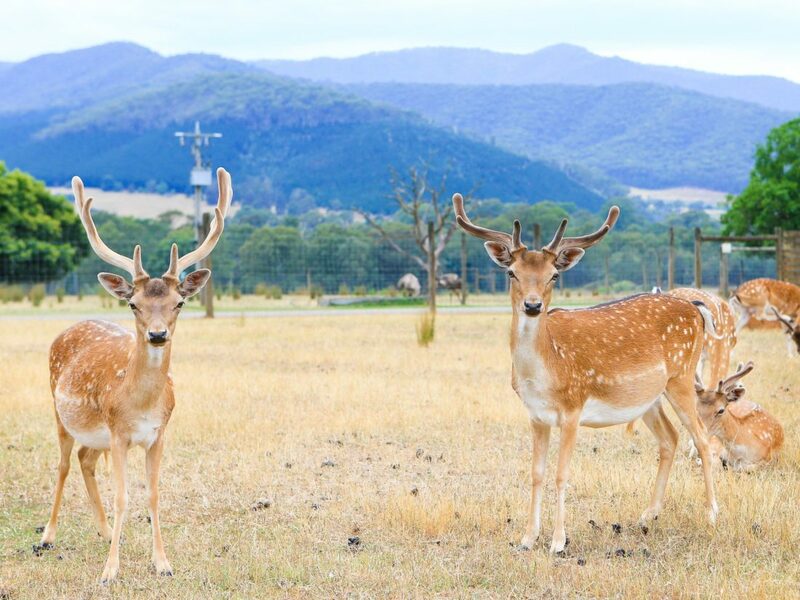 Established in 1987, The Red Stag is a deer farm situated on 60 acres, bordering the Mt Buffalo National Park. This unique property offers great opportunities to feed, touch and learn about deers, emus and ostriches. The Red Stag restaurant is open everyday and the a la carte menu features game meats from the farm. The restaurant is a favourite stop for tours and bus groups who love the legendary Devonshire Teas and huge scones. Conveniently located just three hours drive North East of Melbourne, and one hour from Albury-Wodonga.